For week 11 of Timmy Sean’s Songs of the Week project, the powerhouse singer-songwriter and performer has slipped into the shoes of the veritable Funk Brothers for a trip down Detroit way–a Motown pastiche that sounds so authentic that it could have been played in rotation in the 1960s on hit music stations nationwide. A very James Jamerson kind of bass line, tambourine slaps and handclaps usher in the first notes of “Till You’ll Be Mine,” jumping off from some delicate guitar licks and a touch of orchestration to the first words of the lyric: “I can be the one you want girl,” Timmy sings soulfully. The chorus fits oh so snug, the lovely background vocals soothe; the mood is love, love, love, and it’s all that you need to send this gorgeous melody soaring ever so high. Timmy says: “I recently had the opportunity to write this song for an upcoming crime/thriller film called Cardinal Matter. They had originally used the Temptations’ ‘My Girl’ for the soundtrack of the opening scene, but couldn’t obtain the rights to use the song. “After hearing my Motown-esque take on Blondie’s ‘Heart Of Glass,’ available exclusively…on Bandcamp, by the way, they approached me about doing an original song in the same style and tempo as ‘My Girl’ (which, according to Rolling Stone, coincidentally topped the Billboard Hot 100 charts exactly 50 years ago this week). I graciously accepted the offer, and wrote and recorded this song late last week. 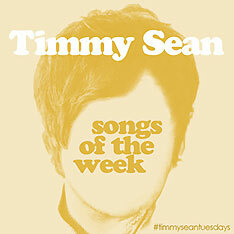 Add “Till You’ll Be Mine” to your Timmy Sean collection by clicking here. 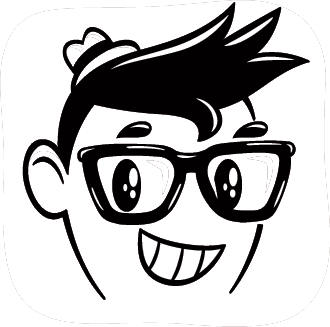 To get all of Timmy’s music to call your very own, click here. And see you next time for week 12’s treasure! This entry was posted in Timmy Sean's Songs of the Week and tagged "till you'll be mine", alan haber, cardinal matter, motown, pure pop radio, songs of the week, streamlicensing, timmy sean. Bookmark the permalink. The New Trocaderos: Turn ’em Up to 11!